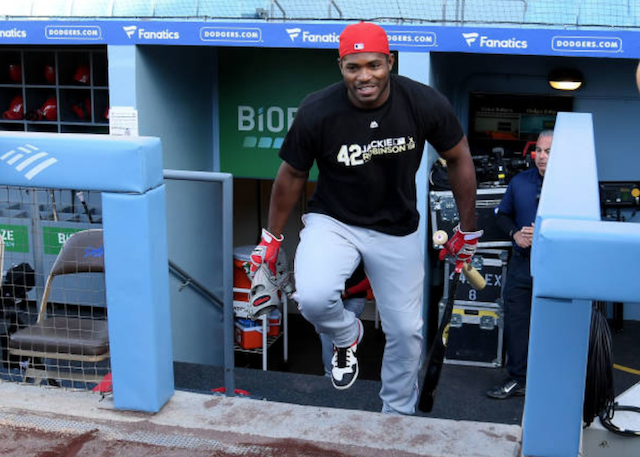 After multiple attempts during a bit of a rocky tenure, the Los Angeles Dodgers succeed in trading Yasiel Puig last winter by packing him in a deal with the Cincinnati Reds. 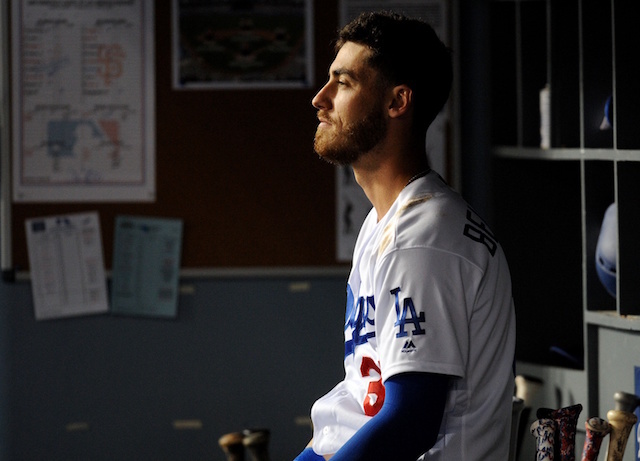 Although Monday’s game at Dodger Stadium, on Jackie Robinson Day no less, meant Kyle Farmer, Matt Kemp and Alex Wood also returned for the first time since the trade, Puig very much was the focal point. He was the subject of a press conference prior to first pitch — which Puig ironically and perhaps appropriately arrived more than an hour late for. 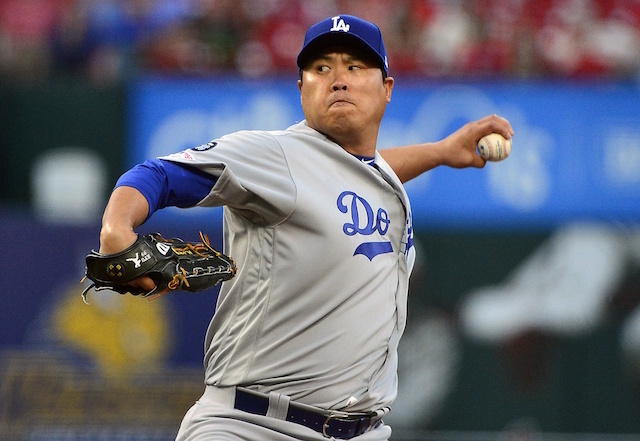 He reflected on his time with the Dodgers, again spoke highly of the fans and had an embrace with Kenley Jansen when the Dodgers closer crashed the press conference. Puig shared a strong connection with Jansen and the Dodgers fan base during his six seasons with the team. Puig previously mentioned the fans as what he would miss most after being traded. 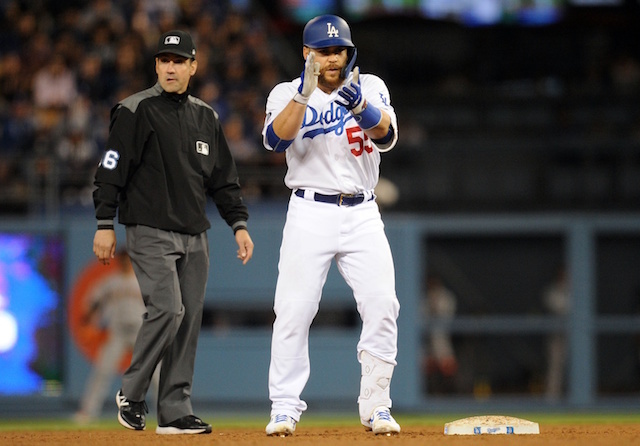 The appreciation was reciprocated when Puig stepped into the batter’s box for his first at-bat. He then proceeded to hit a home run off Clayton Kershaw. Puig’s gotten off to a rough start in his first season with the Reds. He entered the series opener 7-for-43 with three doubles, one home run, six RBI, two walks and 12 strikeouts in 12 games. Puig’s first home run didn’t come until the last of the just-completed Mexico Series.